The social media platform that is most like a real-time conversation and least image-driven, Twitter is seen as a unique tool by many. Our seasoned team of social media consultants have built Twitter presences from scratch as well as revamped and refocused existing presences that were in need. 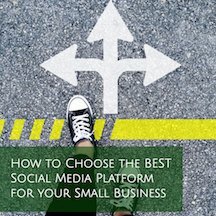 As an over-scheduled small business owner, learning the Ins and Outs of a platform like Twitter often is not in the cards. Let us help you by establishing, growing and managing your small business Twitter account. Our standard Twitter management service applies to Monday-Friday, though weekend tweeting is available. We recommend at least 10 minutes a day on Twitter. Schedule up to 4 tweets a day, 5 days a week, for promotion of the business, a new blog post, a new product announcement, etc. Twitter Account Management prices start at $200/every 4 weeks. Read more about our affordable social media management services, including all our platform-specific services.